Want to harness the power of Shopify SEO to get tons of paying customers to your store? With the 5 steps in this guide, you’ll learn how to optimize the SEO of your e-commerce store to start driving tons of relevant, free organic traffic to it! Ready to make your store way more profitable with Shopify SEO? 40% of internet users in the United States make online purchases several times per month. 20% of U.S. internet users bought goods or services online weekly. With the majority of this online shopping revenue going to Amazon and Walmart, SEO is more important than ever if you want to get your Shopify store discovered and compete with these behemoths. 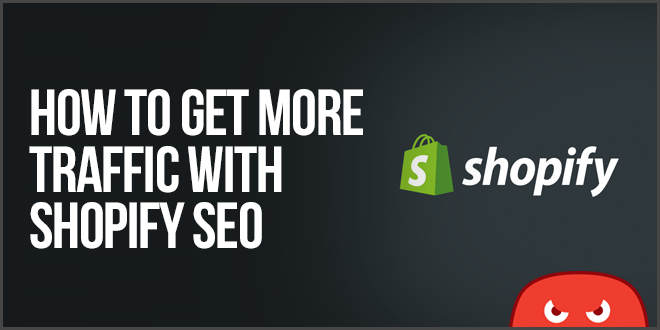 You already know that you can get traffic to your Shopify store by optimizing it for SEO. 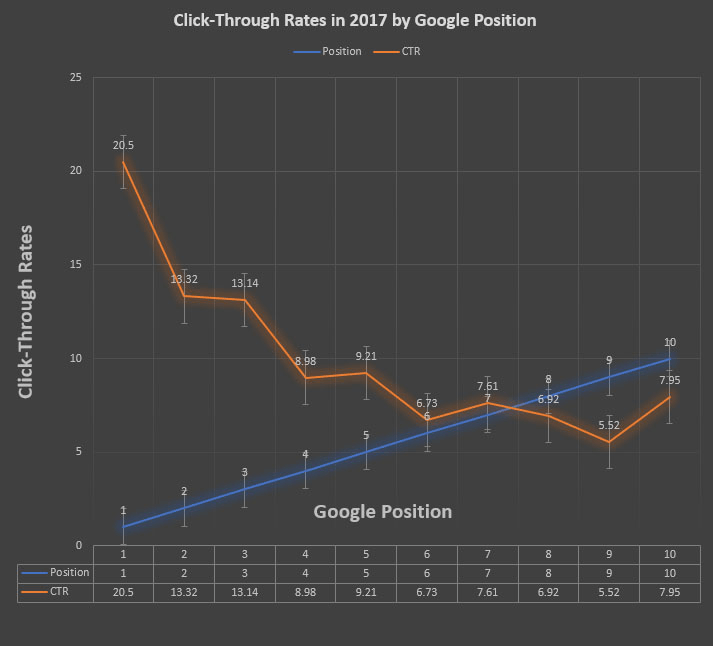 Latest data confirms that the top organic positions on Google still drive the majority of traffic for a given search. With all that in mind: SEO is a proven method for getting recurring traffic to Shopify sites. How? By taking advantage of the advanced SEO options that Shopify provides: mobile responsive themes, built-in testing, and easy metadata editing. 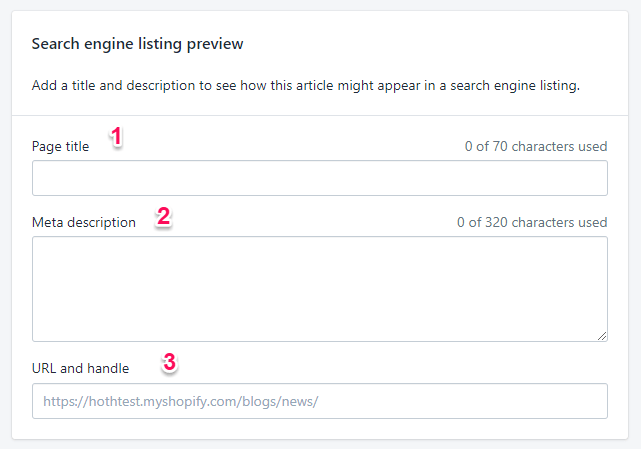 Here’s the step-by-step breakdown on how you can drive more traffic to your store with SEO for Shopify. Site architecture, otherwise known as site structure, is a critical component of Shopify SEO. It involves everything from better internal linking to an easier user-experience that keeps people coming back for more. These categories could be anything from sale items, to men’s jeans, to clothing for women, etc. Similar products can be grouped into a collection that makes it easy for customers to find what they’re looking for. You can always add more collections, they just need to make sense as the overarching categories for your range of products. Collections on Shopify enhance your SEO because they work like hub pages. 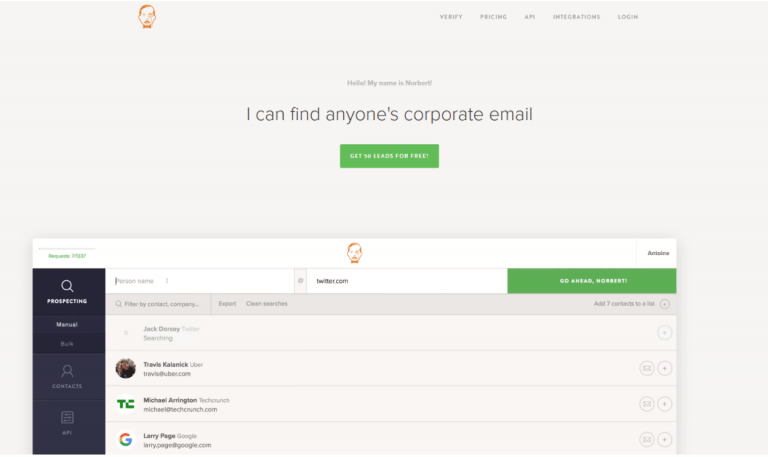 Hub pages are essentially collection pages on a given topic that internally link to multiple pages related to the original topic. It’s like a table of contents for your store. The principle of being a “hub” works for this news article because they provided a central starting point for people interested in the World Cup to keep up on the latest news. It will work for your store if you strive to be the hub for what YOUR customers want. Your store’s collections provide this hub-like structure. Depending on your product offering amount and spectrum of markets (men, women, children, etc. ), your collections should start from simple categorizations and dive deeper once those are selected. Including these sub-categories of footwear, tops, dresses, etc. without the primary collection of “Women” would overwhelm users. Starting small with generalized collections will help draw users in. The sub-categories guide them toward the actual product they want. 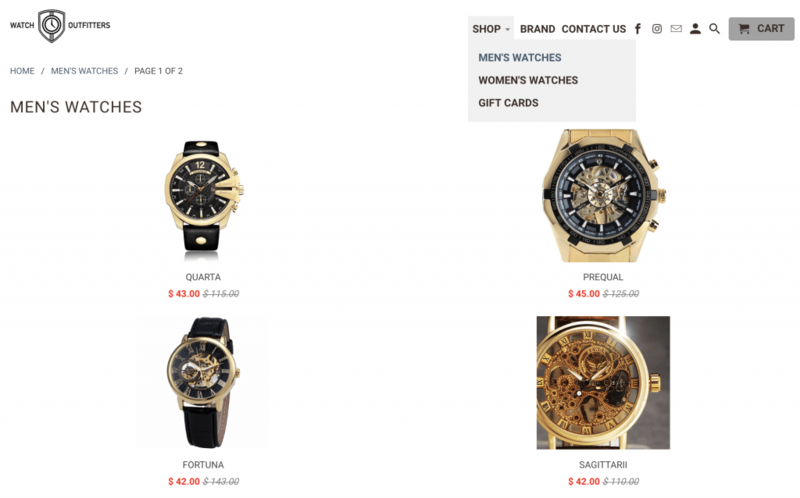 Decision fatigue will kill your conversions! 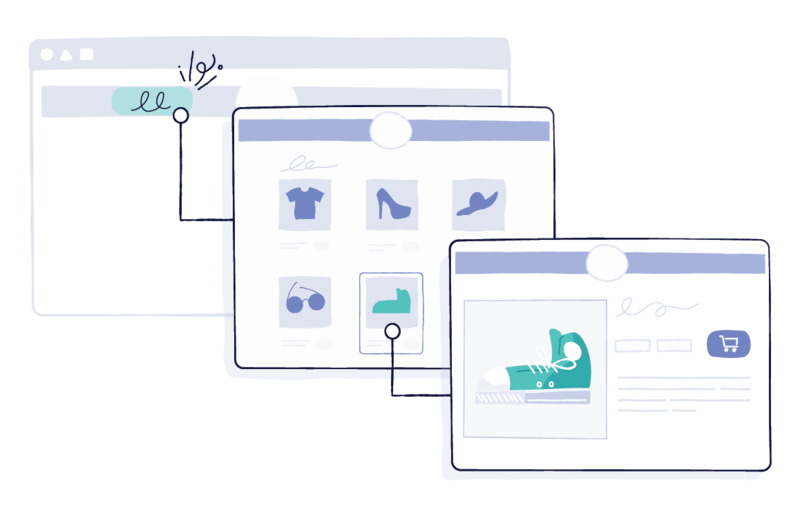 Make it easy for your customers to choose what they want by simplifying your shop’s structure in the collections section of your Shopify dashboard. 1. 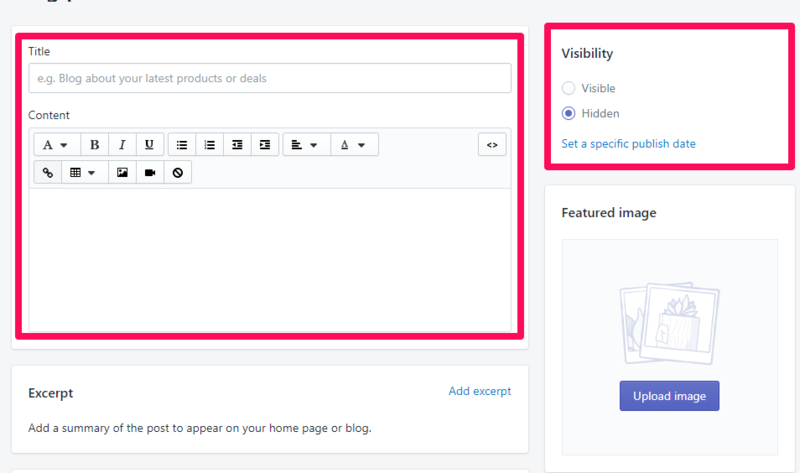 Navigate to “Collections” page under Products in your Shopify admin. 2. Click “Create Collection” to set up either an automated or manual collection. You’ll arrive at this page, where you can set up all aspects of your collection. In the “Collection type” section, click manual or automated. 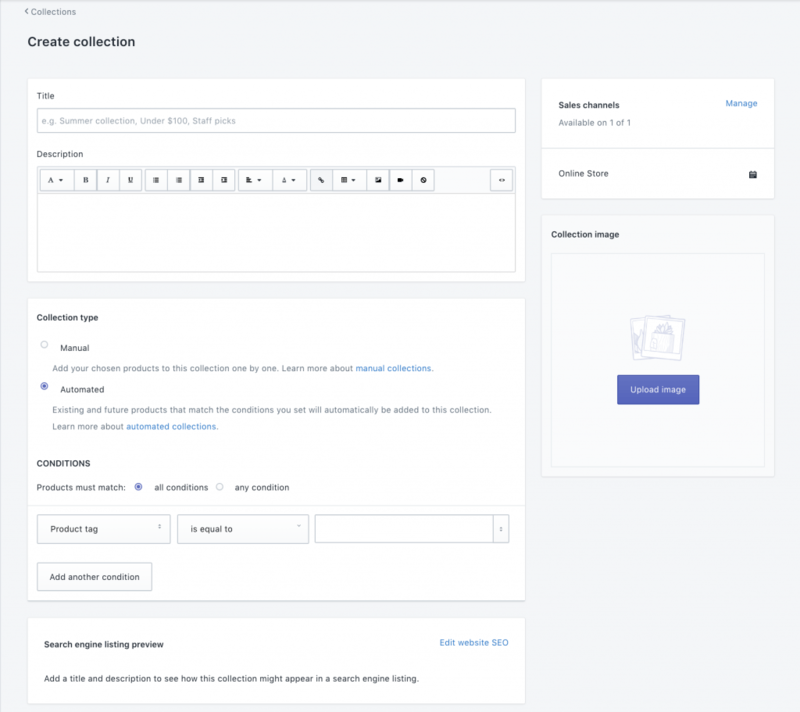 As its name suggests: an automated collection allows you to save time by having Shopify add products automatically to collections that pertain to them. Stores with a lot of different stock can take advantage of automated collections to help streamline the process of adding new products. Manual collections are a better choice for small or personally curated collections. For example, you can put items that are part of a special one-time discount or other promotion into a manual collection to make sure the discount applies only to products in that collection. Keep in mind that once you make an automated or manual collection, you can’t go back and change it to the other type. 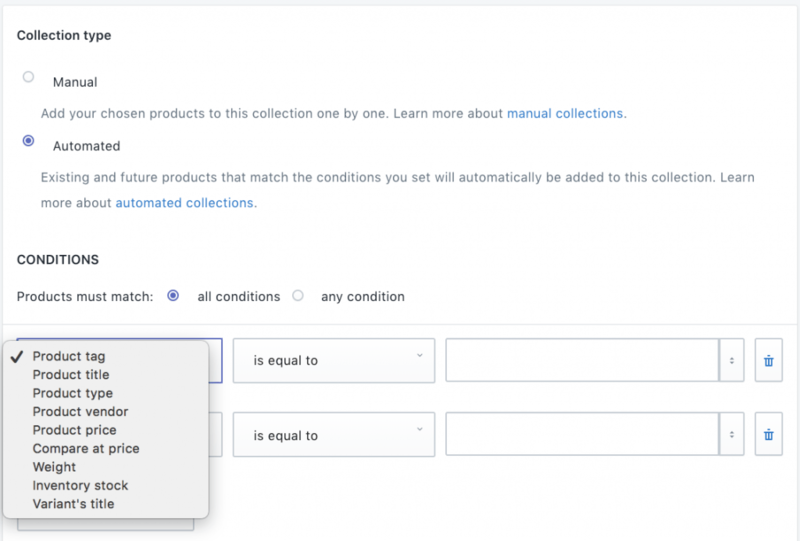 Once you set up an automated collection, associating conditions with that collection will cause products containing those conditions to automatically get placed in it. Product conditions are essentially just “tags” associated with the product, such as color, length, the season of wear, etc. You can determine the condition in any way you want. The combination you choose will depend on your variety of goods and how you’d like them to be grouped together. 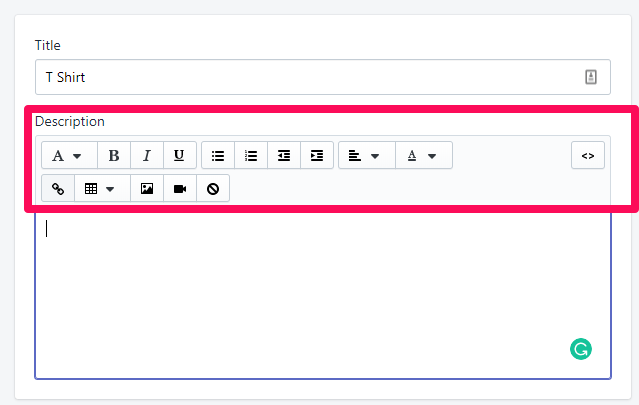 Once you’ve got the conditions set up, future products can be automatically added to the right collection when tagging conditions on the products. 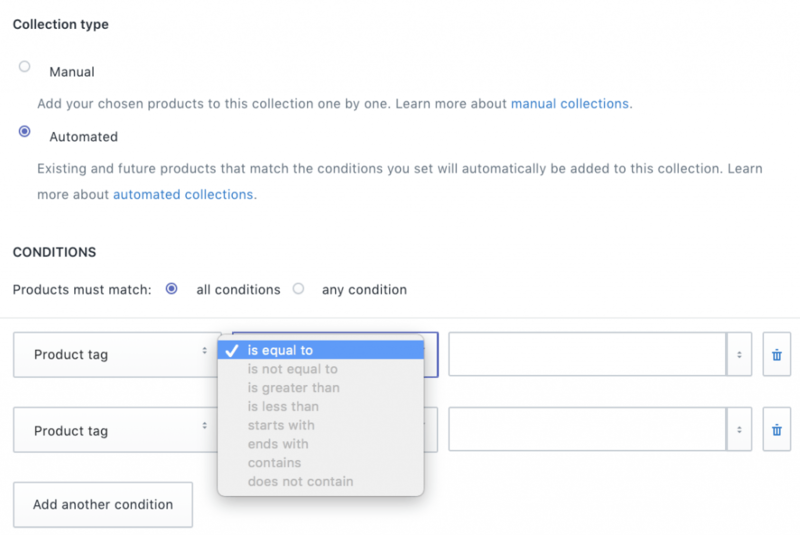 The one thing about automated collections is that in order for them to be “automatic” you have to make sure to edit a product’s details to match those conditions. Likewise, you need to remove those conditions from the product if you want it removed from the collection. As you might guess, a manual collection includes only individual products that you select to add to it. Once you’ve clicked “Manual” as the collection type, click save. In the Products section, click on “Add products” to designate which products you want in that collection. Set the sort order for how you want your products to appear. Click the drop-down list next to “Sort” and pick a sort order. It can be manually ordered or sorted by best selling, product title, highest/lowest price, or newest and oldest products. Go to the “Sales Channels” section and choose which active sales channel you want the collection to be available in. Upload an image to the Collection image section. 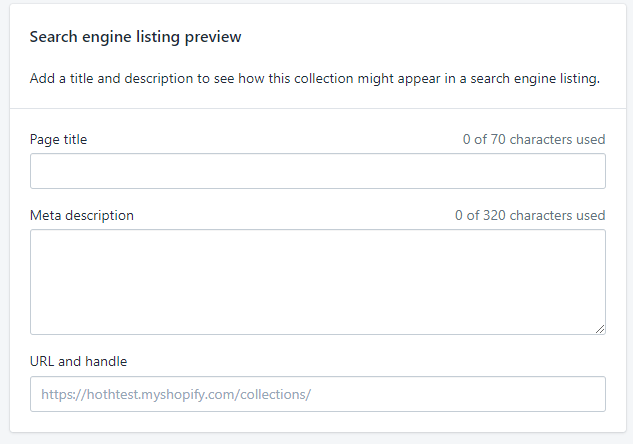 Check the Search engine listing preview to see how the collection will be displayed in the search engine results. If it could look better, click “Edit website SEO” to change the way it will appear. 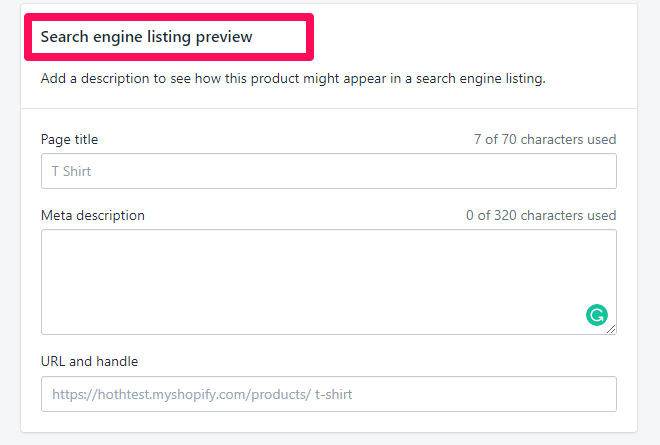 Note that Shopify does not let you edit the URL and handle because they are part of your store’s URL structure. From your Shopify admin, click Online Store > Navigation > Menu > Menu items > Add menu item. Enter the collection name as you’d like it to display to customers in the “Name” field. Go to the Link list and select “Collection”, then select the collection that you’re adding a link for. And you’re done! While this may seem like a fair number of steps, it’s really not that bad and can be done in a matter of minutes if you know what you’re inputting. Remember, taking the time to set up your collections can really help to organize your store and ensure a great user experience for any shoppers who come across it. At this point, I’m probably hitting you on the head with this: but user experience really matters if you want to maximize your sales. So: write long and useful descriptions for your collections page rather than just letting the products speak for themselves. 100% Pure masters this tactic with beautiful customer-focused descriptions in their Shopify collections. For each collection, like “Face Makeup,” they write a solid description explaining that particular product collection and what you can expect from it. This has a dual use for user experience and SEO. Internal links are another important component of on-page SEO for your Shopify store. 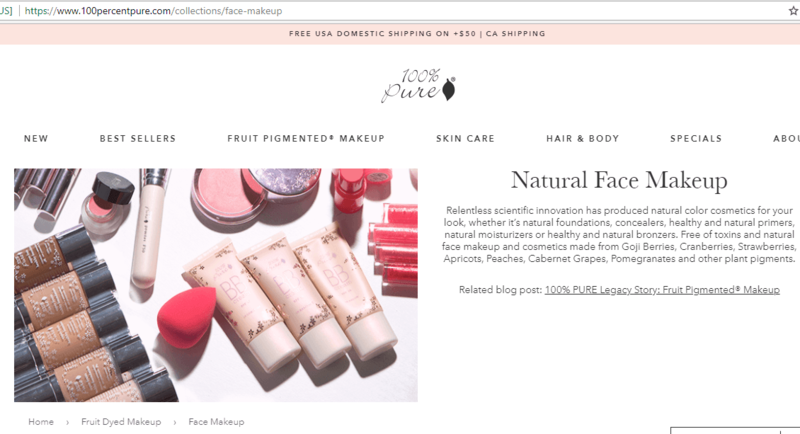 To this end, 100 Percent Pure also links out to a related blog post on their collections page to keep people interested and learning more. Doing internal linking like this is a great way to increase SEO strength, relevance and to keep users on-site longer. 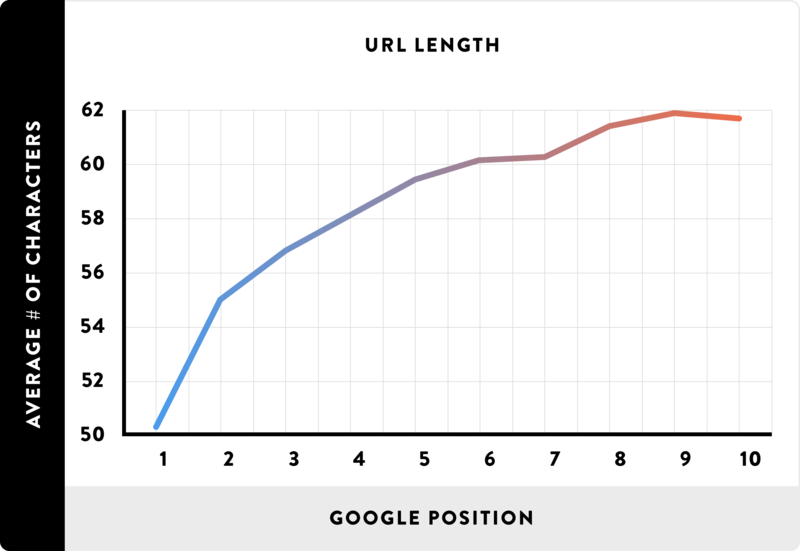 Optimize your site structure by keeping it simple. 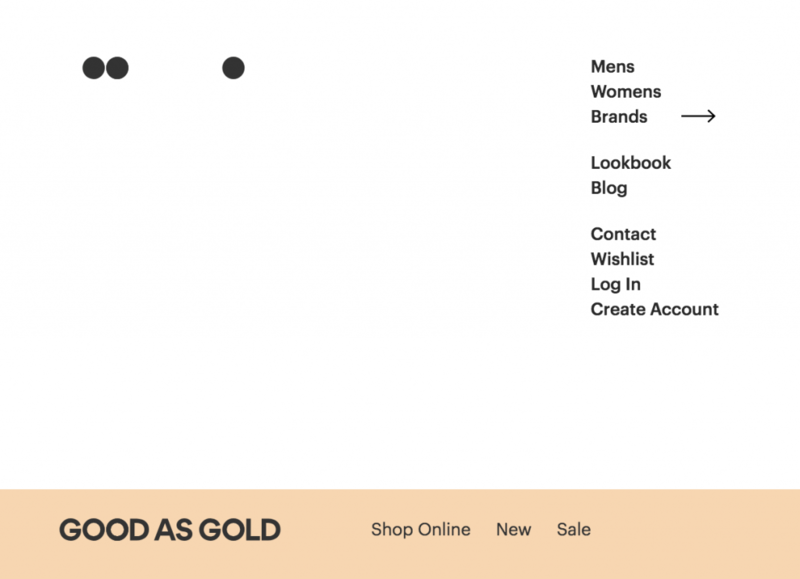 Group alike products into collections and use those collections as a chance to write engaging content, produce internal links and improve on-site navigation. So your collections are made and you’ve just put up some new products on your Shopify store. You added some wonderful images, descriptions, and titles for each product, right? But how do you optimize your products for SEO? Are there more steps you can take other than a good image and description? Does it really even matter? The Nielsen Norman Group conducted a major study on e-commerce user experiences, finding that 20% of failures to complete a purchase were due to bad product descriptions. As you can see, product descriptions are important to keep people’s attention. Not only that, product descriptions are one of the greatest ways to communicate everything about the product. Address pain points and problems. Provide your product as the solution! Rather than just describing the product and the features it has, you should strive to write product descriptions filled with end-user benefits. For example, nobody cares if your sunglasses are “made from carbon fiber with a chiseled outer frame.” They care about whether it will survive a drop or being stepped on. The minimal pattern is the feature. More comfort is the benefit. Being genuine handsewn moccasins is the feature. Stability, comfort, and superior fit are the benefits. On top of a benefit-focused description, you should get to the point ASAP. Don’t write product descriptions for the sake of filling out text for search engines. While content helps, content for the sake of length doesn’t. You don’t want users to get distracted or overwhelmed, leading to a bounce and no sale. Keep it short, sweet and to the point. Bad user experiences are a recipe for disaster, while good user experience has them adding products to their cart. 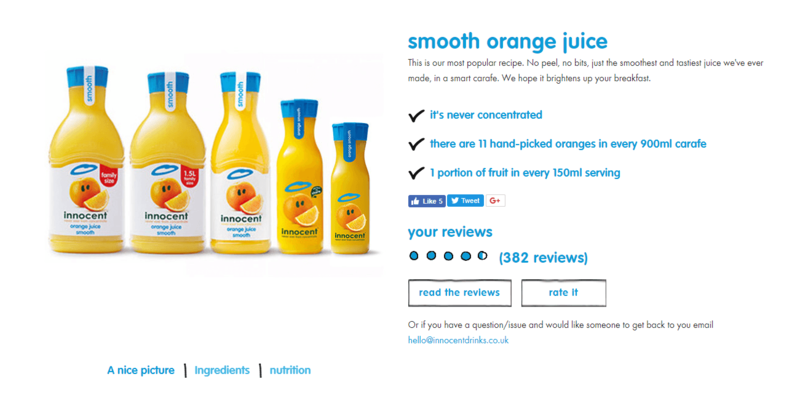 “Never concentrated, 11 oranges per bottle, one serving of fruit.” The things people really want to know. 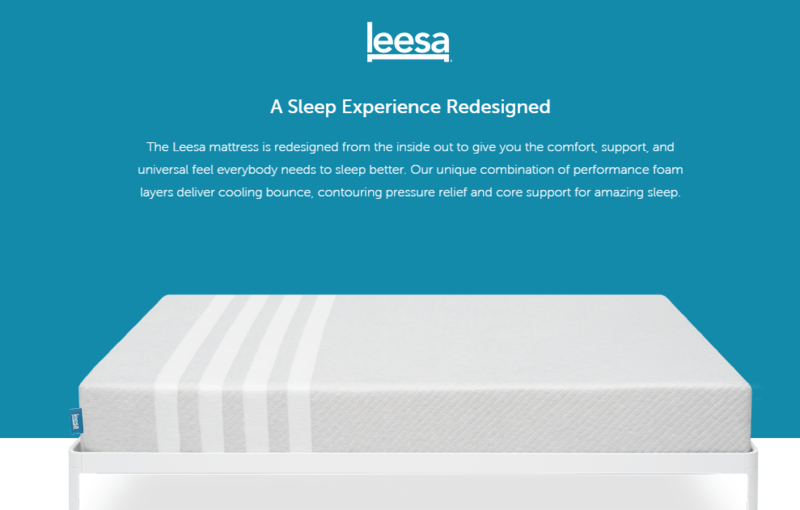 Shopify merchant Leesa optimizes their product page with long-form content, structuring it so that they don’t overwhelm users or bore them if they don’t want to read about the product. This works to provide context and content for SEO and solve user problems. Take advantage of bullet points, checklists, and ways to simplify information for online readers. People skim, and it’s crucial to cater to their reading patterns. Additionally, when writing descriptions, try to layer in LSI keywords to add context and relevance. Using the LSI Graph, you can enter your product name or general product type to generate a list of related keywords to enhance your on-page SEO. After writing a great product description with your keywords and LSI keywords, it’s time to optimize your meta descriptions and titles for search engines again. Why? Because if you don’t, Google will pull information from your page to fill it, resulting in copy that doesn’t compel someone to click. Are you currently running a promotion on your Shopify store? Enhance your CTR by sharing your sale information right in the meta description. Fill your descriptions with benefits, sales and any other reasons for someone to click your product instead of on the competition’s product. When it comes to SEO, tagging and optimizing products and pages on your site is the first step. But that’s not going to be enough to bring in traffic from multiple funnel stages. You can’t rely on products to drive all of your traffic. Especially not in such a competitive landscape. During the awareness or early stages of problem realization, users aren’t searching for products just yet. At least not specific or even branded ones. Instead, they are likely looking for more information. Meaning your product page optimization can only bring in so much traffic. And you can’t always bank on bottom-of-the-funnel traffic to convert on a dime or their first visit. Something to remember: 98% of people don’t convert on their first visit. So how will you get them the next time around? You might get a few people to convert here and there on direct product pages, but warming up your traffic with content can help build brand awareness in your space and drive more traffic. E-commerce is brutally competitive, and you need content to drive visits from non-brand-aware users. If people don’t know your brand, the likelihood of finding you is significantly lower. So, what is the best way to drive more organic traffic to your Shopify store? For example, Shopify merchant and shaving company Oui Shave uses blog posts about their safety razor products. All these articles support what they sell, and attract their target customer. This is a general principle of advertising that in the context of a blog, translates to building trust through each exposure to your brand through an informative or entertaining blog post. While it would seem hard to blog about shaving products for women, they do, and Oui Shave dominates their market (safety razors for women). 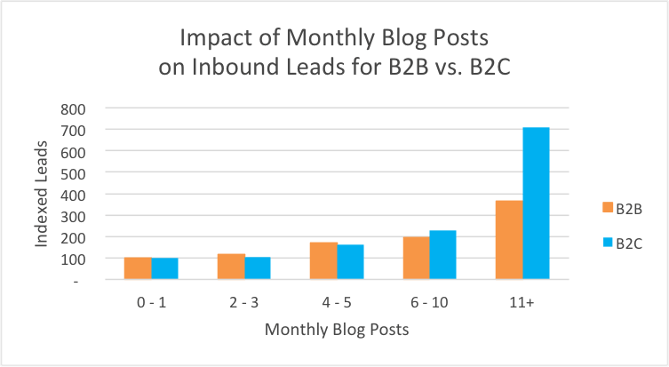 HubSpot’s blogging frequency benchmarks show that B2C blogging is critical for driving more traffic. 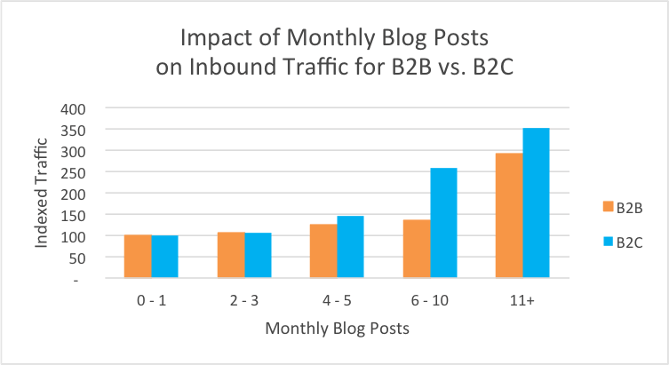 In fact, blogging 11+ times each month generates more traffic in the B2C space than it does for B2B! Not only do you drive more traffic with blogging, but companies that blog 11 or more times per month get 4x the amount of leads compared to companies blogging 4-5 times a month. Why? Because you have more indexed pages covering more diverse topics that cater to different audiences and interests. This allows you to capture more traffic that can turn into leads and store sales. You’re essentially casting a wider net by pushing more opportunities for your store to be found in search results. Ready to create some amazing blog posts for your Shopify store to drive more traffic? Here’s how to set up a blog in just a few minutes. 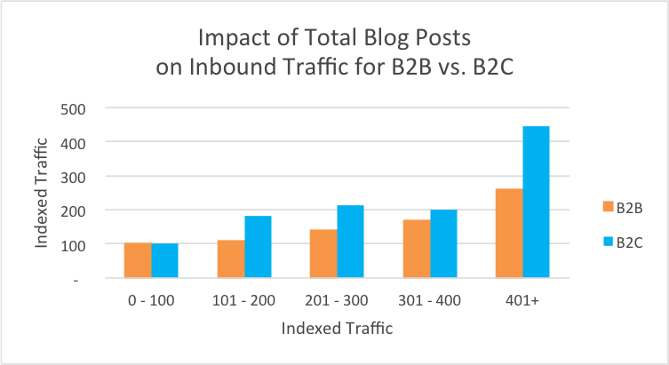 The most impactful blog posts to increase traffic and rankings are long-form posts. Shoot for at least 1,890 words for each blog post. While this may seem difficult, it allows you to craft blog posts that are all-encompassing. This can help you generate multiple topics that you can include in a single post. For instance, tips for beginners, technical skills to practice and a how-to section to ride properly. Those three sub-sections could easily make up 2,000 words on your next post. While page titles, meta descriptions, and URLs (permalinks) aren’t direct ranking factors, they can influence CTR which can increase rankings. Keep your title simple, using the keyword or an LSI keyword to provide context. 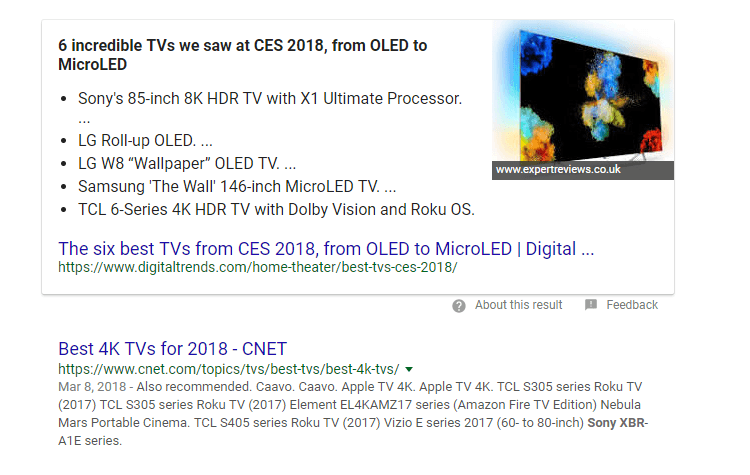 Repeat that keyword in your meta description, but use the meta description as your chance to convince people to click. Keeping it simple and including a keyword will help you build relevance and increase your organic clicks. 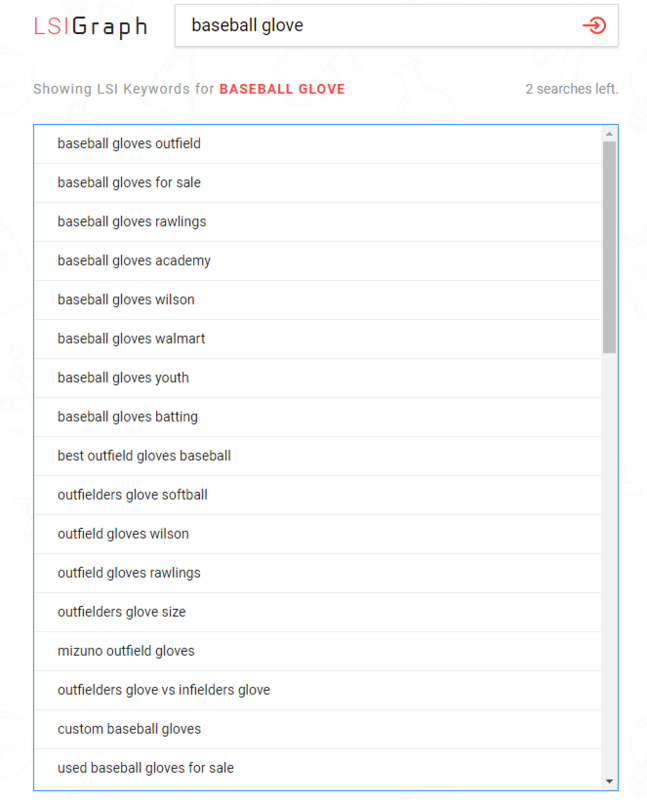 Use a tool like the Keyword Density Checker to ensure that your content is properly optimized before hitting publish. Now that you’ve optimized your site structure, product pages, and blog, it’s time to build links. Link building is just as important as content, according to Google. Link building to your Shopify store will help you drive relevant traffic and build your domain authority by driving good signals from other high authority sites. Shopify Merchant Emazing Group cited backlinks as critical to generating traffic and sales, switching to Shopify to better manage links and URL strings, increasing revenue by 227%. For Shopify specifically, link building will revolve around your products and your blog. The more blog content you create, the easier it will be to get links in your space, as sites will refer to you for content. Here are a few ways to get links to your store! If you were to get a link on a popular review site like CNET, you would likely drive tons of traffic. Why? People are clicking the links to explore products and will visit your site to learn more about your brand’s product. In their comparison posts, CNET links to each product they talk about. And if those products drive interest from a visitor, you can bet that they will be clicking on it to learn more. 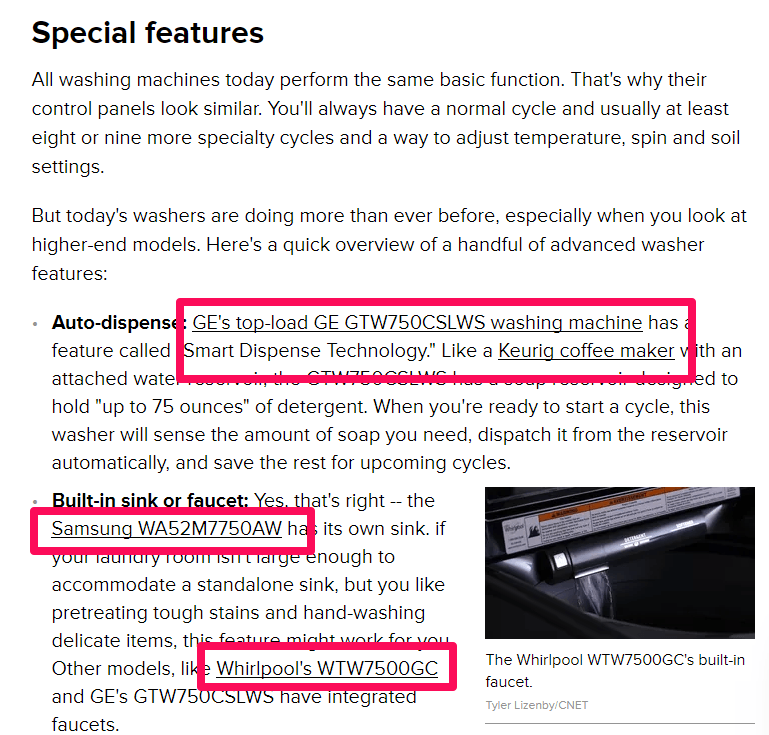 Note that in this example, the products belong to major brands and are directed to GE, Samsung or Whirlpool’s product pages. This is to show that your own brand and products can be similarly linked to within a review article. The best way to get linked to in a review article like this is to seek out websites with a nice domain authority that are already reviewing products in your industry. Then you can reach out and suggest they review your product in a new article or add a review of it to an existing article. Your chances of being successful at this could be improved by offering a sample of your product to the reviewer in exchange for an honest review on their part. You can also offer to write a guest post on a topic that would be interesting for a website to post on their blog. If they accept, include one or two links to a product, blog post, or homepage in your Shopify store where it’s natural to do so in the text. Let’s say you sell women’s apparel, for instance. 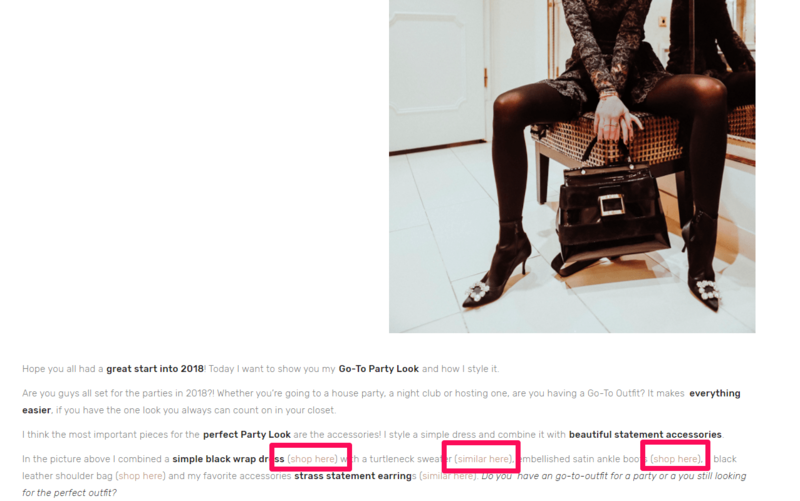 Famous fashion blogger Caro Daur reviews women’s fashion on her website where she links back to specific products that she uses and gets sent by other companies. In every industry, there will be blogs talking about your space, products, and tips. You can leverage these sites to get backlinks to both your blog and products. For instance, if a site is talking about tennis, you can use cold outreach to pitch products that they can talk about or link back to for users, or even drive them to an affiliate program where they can make money from linking to your products. You can then take those emails and start a new cold outreach campaign, offering to send your products to them for no charge or asking for reviews. Targeting blogs in your space will help you develop great product-specific backlinks that will boost your Shopify SEO. Another great way to build links on Shopify is to establish an affiliate program where others can link to your products and services, driving you traffic and sales for a minor portion of your sale profit. 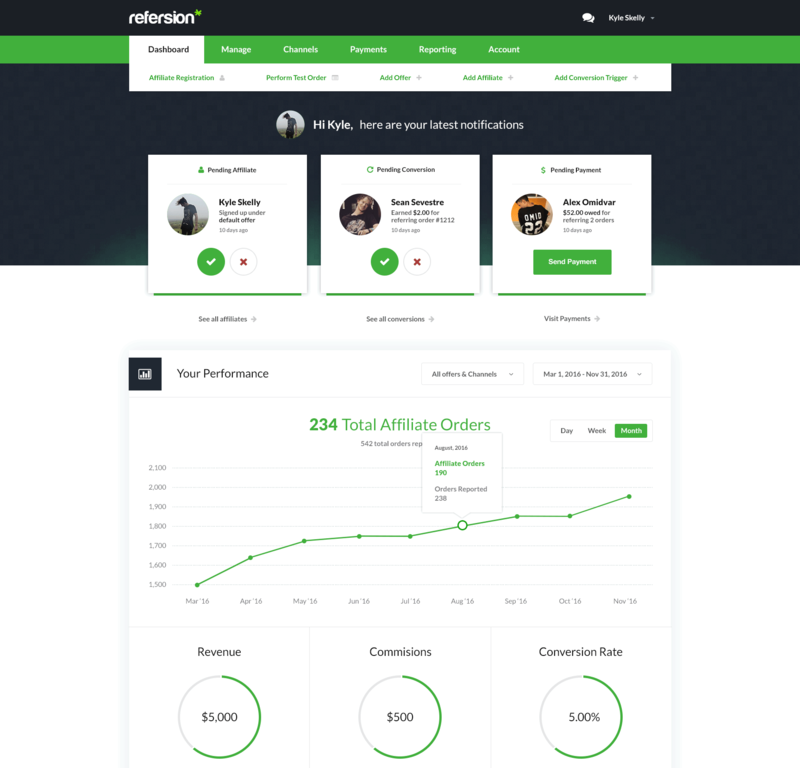 With a Shopify integration like Refersion, you can keep track of all of your Shopify store affiliates. You can approve or disapprove people who apply, selecting only the users who have popular websites that can help you easily build direct product backlinks! SEO optimizing your store will help you drive tons of organic traffic that you can turn into sales. By focusing on your site structure and user-flow, you can create a seamless, wonderful experience for new users that land on your site. A great website experience combined with great products for sale: THAT is what will help convert visitors to your Shopify store. Soon enough, you’ll be swimming in a sea of organic sales. 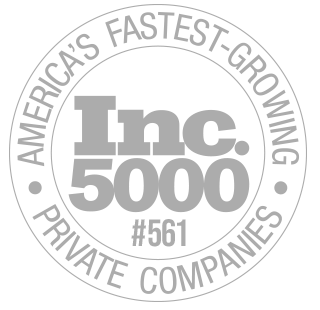 When you provide great products and service, you deserve great traffic!